the answer is: both of the above. On November 28, 2009 I wrote a piece entitled Forgot the past? Here's the future. It's a piece that every American who expects to vote in an honest election should have not only read, but made sure that every friend, family member and distant relative read as well. About 75 thousand people read it. And, after the initial shock of what they had read, about 50 thousand of them said, "Someone needs to do something about this." 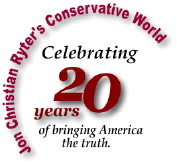 And then each went back to busying themselves with whatever it was they were doing before they read that piece on Jon Christian Ryter's Conservative World. The article's name is even more appropriate today than it was when I wrote it three years ago. Sadly, in three short years we, as a nation, have conveniently forgotten the past. We seem to view vote theft not as a criminal actjust crooked politics. In 2008, Barack Obamaa man, by all appearances, who is not eligible to run for State or national political office in the United Statesstole the Office of the Presidency in 2008 with the help of ACORN, MoveOn.org and Bill Clinton's National Voter Registration Act of 1993 (the Motor Voter Act) which was legislated by a Democratic majority in both the House and Senate during the first year of Clinton's presidency to make it easier for minorities and illegals to vote in national elections. Of course, to hear the Democrats talk, the purpose of the Motor Voter Act was to protect minorities from the bad Republicans who, they have steadfastly insisted since 1993, want to keep minorities as second class citizens by preventing them from voting. In reality what every good citizen in the United Statesnot just elected Republicanswants to do is make sure what happened in 2008 and again in 2012, never happens again. Ferreting out and prosecuting scores of socialist union officials and weak-knee union members, social progressive political activists and thousands of "give me free stuff" idiots. The "give me free stuff" crowd who actually believed that when the election dust settled, they would get all those freebies promised them by the leftwing political activists are in for a shock. Before pining away on dreams of living the good life on someone else's dime, they need to take a minute and stop any of the 46% still-unemployed blacks (who never got any of that free stuff in 2009 except food stamps) and ask them if they're better off today than they were before they took the bait on the end of the Obama lie that if they helped him win the White House, he would help them. In 2002 vote theft was suddenly becoming easier and a lot more high tech than it was during the Florida chad dance. The media sold the public a bill of goods. The left convinced very gullible voters that election fraud happens in voting systems where voters must either mark a ballot or, using a stylus, punch out a chad to indicate their choice. Because of the chad dance in 2000, the GOP-controlled Congress passed the Help America Vote Act of 2002 [HAVA] (Public Law 107-252)which actually made vote theft much easier. And, President George W. Bush, who failed to see the "Mene, Mene, Tekel, Upharsin" handwriting on the wall, signed the measure into law, helping the social progressives get rid of voting systems which left indelible fingerprints of the voter on the ballot. Today, the high tech electronic voting machines leave no fingerprints of how the voter actually intended to voteand no fingerprints of the cyberthief who rigged the machine to cast 99% of the votes for a "default" candidate. A provision in HAVA required the Statesall of themto obligate voters to show a valid form of identification which contained a current photograph of them to prove they are eligible to vote. Voting is a right of liberty that comes with the responsibility of protecting that right for every voter against crooked politicians. It's not a right to be used by illegal aliens living in the shadows of America to protect their imaginary right to be here by creating sanctuary cities in violation of the Federal Immigration and Nationality Act of 1952 (Public Law 82-414, 66 Stat), enacted over President Harry Truman's veto on June 27, 1952. By the way, Public Law 82-414 was created, written and enacted by the Democratically-controlled 82nd Congress. The law is so tough not only on illegals, but on the "good citizens" who help them, and the local "officials" who protect them. Anyone who feeds an illegal alien, transports them or provides them shelter is subject to a $10,000 fine (per infraction) and/or up to 5 years in a federal penitentiary. The 82nd Congress was very serious about solving the problem of America's porous borders. It's important for the People of the United States and their government to understand that illegal aliens are not protected by the Bill of Rights. The Constitution of the United States and the Bill of Rights apply to the United States and its lawful citizensbut not our neighbors. The Constitution was written to protects America's legal citizens. So was the Bill of Rights. It's not a blanket amnesty for those who sneak into our country in the dead of night. No place in the Federalist Papers did Alexander Hamilton, James Monroe, or John Jay suggest the American Constitution was a universal document that protects our friendsand enemies. Illegal aliens and citizens of the other 190 nations on Earth are protected by the UN International Covenant on Civil & Political Rights since they are citizens of other lands. By the way, if you and I crossed into Mexico in the dead of night and somehow managed to vote in a Mexican national election, we would be sitting in a Mexican prison for about ten years. Why should illegals in this country fare any different? To make sure that those voting the Daley Dead (or, in 2012, union workers, and the "give me free stuff" crowd), who fraudulently early-voted registered Republican voters in Ohio, Michigan, Pennsylvania, Colorado and Florida (who always vote on Election Day) with impunity, liberal federal judges ruled in lawsuits filed by Obama Administration Attorney General Eric Holder, MoveOn.org, the ACLU and other leftwing community activist groups, that requiring verification of the identity of those seeking to vote in a presidential election was a form of racism, opening the door wide for the fraudulent voting the Democrats needed to win the election. While electronic voting has existed in Florida since the State enacted the Florida Electronic Voting Systems Act of 1976, the first State to use e.voting was Illinoisthe State which originated voting the dead. The year was 1975. The machine, the very first direct recording electronic voting machine [DRE], called Video Voter, was used to record and count the ballots. The first two Illinois cities to use electronic voting machines were Streamwood and Woodstock. Streamwood is a suburb of Chicago. Woodstock is 51 miles north of Chicago in adjacent McHenry County. Today, every State in the Union uses some form of electronic voting except New York. While no State universally uses paper ballots, there are voting precincts in several States which still do. Only paper ballots and punch cards actually leave the fingerprint of the voter on the ballot which allows voting officials to conduct an accurately recount if the contest is challenged. The exception to that statement was the Florida Chad Dance in 2000 which was choreographed by the Gore Campaign whose election hinged on winning a State he had already lost in the voting booth, and whose campaign continually changed the rules of what constituted a Gore vote. In 1973 America began to experience something newa voting system specifically created to aid vote fraud as it erased the evidence of the crime. On Jan. 23, 1973 Congress voted itself an electronic voting system. Because the Democratically-controlled Congress felt that electronic voting was good to count 438 votes in the House and 100 votes in the Senate, they reasoned it would be good enough to electronically tabulate the votes in America's national elections. The attempt failed because the Constitution of the United States places control of the manner in which ballots are cast in the States to the States. HAVA would be as close as Congress could getbut it was close enough. With the princes of industry and the barons of banking and business prepared to dole out enough "campaign" largess to State legislators and governors to change how votes are cast and elections are wonand the how the candidates the money barons needed steering the engine of State (that the people don't trust) somehow continue to get elected with only 30% to 40% of the voters voting for them. We have Senators and Congressmen who accomplish that every election. And, I suspect the guy in the White House has now done it twice. In point of fact, as the elections of 2008 and 2012 verify, when you control what goes in and comes out of the ballot box, you can't lose the election. For example, in 2008, 96,992,000 registered voters who actually voted somehow cast 132,618,580 ballots. Not to be much outdone by 2008, in 2012, 90,682,968 registered voters somehow delivered 126,985,809 ballots. The 2012 numbers will forever remain unclear because, according to thousands of reports from registered Republican voters in the battleground States of Ohio, Pennsylvania, Michigan, North Carolina, and Coloradowho always vote on Election Daywhen they showed up at their local voting precinct on Nov. 6, 2012 to cast their ballots for Mitt Romney, they discovered their names had voted early, and its a safe bet that the invisible surrogates who stole their vote cast their ballots for Obama. The Democrats learned a whole new meaningand usefor the term "data-mining" in 2012. Congress needs to fix thisor the Supreme Court does. Here is the reality. Article II, Section 1, paragraph 5 of the US Constitution mandates that as far as voting for President of the United States, that votingall of itmust constitutionally happen on one day. And that day will necessarily be the same day throughout the entire United States. The Constitution mandates ONE DAY when the people vote for the person they wish to lead the nation. That day will be the first Tuesday after the first Monday in November every four years. Period. Pay attention, people! Congress has no authority to enact any laws to provide early voting without first amending the Constitution of the United States. Congress does possess the right to change the date of the national election, but the Constitution mandates that all ballots by all people must be cast on the same day. The politicians who need to steal power to have power need stealth to win. When they are forced to act in the light of day with the nation watching, they become a little more honest. Why do conservative talking heads indulge the liberal media with polite, weak-knee politically-correct rhetoric? Rhetoric which pretends that Democratic labor unions, MoveOn.org, ACORN (under whatever name they are using this year) and thousands of "give me free stuff" deadbeats who think someone else is supposed to provide them a living after Mom and Dad booted their lazy, sorry butts out, won by legal gamesmanship? When the left manages to produce 35,626,580 more votes than voters in 2008 and 36,292.841 more votes than voters in 2012 and what appears (by sheet guesswork), to be about 6.3 million votes stolen from registered GOP voters whose votes were pirated from them when the left data-mined GOP voting patterns to which they should never have had access. What the conservative talking heads, and the print and electronic journalists should have been shouting from the rooftops on Nov. 7 is that the Election of 2012 was as bad as the worst third world crooked election not because they manufactured 666,261 more fraudulent votes from nonexistent voters than they did in 2008, but because the left stole what appears to be over 6 million votes from active GOP voters by early-voting the names of Republicans who traditionally cast their votes on Election Day, denying those voters the right to vote. Where is the protest on that one from the left? Muffled by the laughter, I suppose. In the State of Colorado, which was polling heavily for Romney, 10 counties experienced voter turnout of from a 104% to 120% in an election where the national voter turnout was 57.7%. Keep in mine, its factually impossible to have voter turnout over 100% since the voter pool is mathematically limited to a maximum of 100%. On top of that, it's virtually impossible to have 100% voter turnout. That happens open only in a country where people are marched from their homes at the barrel of a gun to votefor the only person on the ballot. The dictator. In Philadelphia there were 59 voting precincts in which Gov. Mitt Romney appeared not to have received a single vote. Which, again, is so unlikely it's virtually impossible. Obama, however, got 19,105 votes. Obama voters turned out at a rate of 108%. Once again, impossible. Romney appeared to have the same problem in the 100 voting precincts in Cuyahoga County, Ohio (Cleveland). Romney received zero votes; Obama received 99% of the votes. The problem in Cleveland was repeated throughout Pennsylvaniathe State that Obama media pundits said Obama wasn't worried about losing. Now I see whya large number of voting machines were set on "default." Obama was the default candidate. Fox News reported that this problem was not unique to Pennsylvania. Hundreds, if not thousands, of voters not only in Pennsylvania, but in Nevada, North Carolina, Ohio and Texas were reporting the same thing. Fox News also reported that two election judges were replaced in one Ohio precinct for allowing unregistered voters to cast ballots. In Guilford County, NC the voting machines all defaulted to Obama in 2012. One woman complained to Fox News said it took her three tries before she was able to vote for Romney. When Fox News called the Guilford County Election Chairman, the official dismissed the problem saying it's "...related to the machine not being calibrated correctly," adding that "...it's an easy problem to fix." Oh, really? Guilford County had the same problem in 2008an almost universal default problem favoring Obama then, too. Four years later, and the problem still exists. Or, is the only problem that people complained about it to the media in 2012? 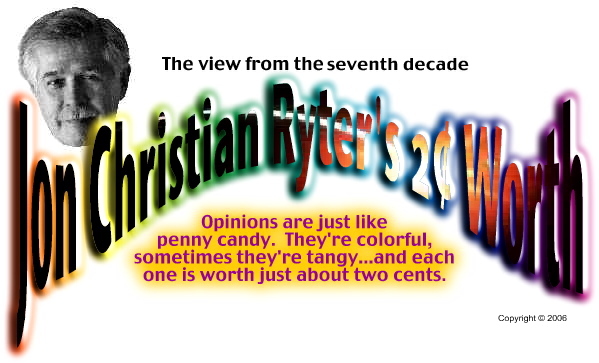 Washington Examiner reporter Byron York observed another anomaly in Ohio. There were 200 thousand fewer white voters voting in Ohio in 2012 than in 2008. "There were several theories about those missing white voters, but the most plausible is that those who were undecided or weak were influenced by Obama's attacks on Romney." It appears in a few voting precincts, the votes but not the voting recordsthe indelible fingerprint of the votersimply vanished. In Florida, the Sun Sentinel reported that a week after the election, county workers found 963 voted but never counted ballots that were stored in a warehouse. Brenda Snipes, the Election Supervisor shrugged it off saying, "It's routine for vote totals to be adjusted up until the final certification date of Nov. 18." I expect, though, that only applies to Democratic votes. The Russian newspaper Pravda, which was apparently watching the US election a lot closer than the Columbus Dispatch or the Cincinnati Enquirer, reported that in one Ohio county Obama received 106,258 votes from the county's 98,213 registered voters. Two things happened here. First, the voting machines were set on an Obama "default" setting (which means he gets 100% of the votes regardless who you voted for); and second, very likely 8,045 absentee ballot registrations in that county were deemed to be fraudulent and tossed. The absentee ballots, which are immediately "blue-bagged" when the community activist-generated voter registrations are turned in to the County Election Board. When the registration is found to be fake, it's too late to discard the fraudulent vote that accompanied it since, technically, it's already in the ballot box. In Chicagowhich you would have thought the Democrats would view as a safe haven for ObamaSteve Picknum, a Cook County equipment manager for the election system, said he was called whenever a voting machine malfunctioned. Everytime he was called, he could see the voting preference of the voterRomney. Whenever the voter cast his or her ballot for Romney, a "voter save failure" message appeared on the screen. At no time did an Obama voter have a "voter error" message. When Picknum went to votefor Romneyhe got the same error message himself. What happened to voter rights in 2008 and again in 2012 was not "just politics as usual" It is felony theft. But, it was more than that. Political parties, financed by the princes of industry and the barons of banking and business committed treason against the People of the United States of America. While most people think of treason as aiding and abetting a foreign government in the overthrow the nation, it's more than that. On a slightly lesser scale, the theft of an election is, or can be, the overthrowing of the form of government the majority of the People voted to restore or maintain. And it is treason. If "We the People" intend to restore a free and honest government, we need to get rid of the crooked politicians whose seats are secured by rigged ballot boxes and the largess of wealthy fat cats who enrich themselves by buying access to the legislation they need. As Americans, we need to start telling ourselves the whole truth about how corrupt our government is. And, even more important, when all of the local, regional and national election data and exit polling tell us that "Candidate A" will beat "Candidate B," and when the best political strategists in the country are telling the numbers-crunchers there's something wrong with their numbersyou can bet there is. Particularly when the left produces 35,626,580 more votes than voters in 2008, and 36,292,841 more votes than voters in 2012, you simply don't ignore it because you can't explain it. What it means is that someone is stealing the election. You don't play "good sport" and concede. You initiate a constitutional crisis because that's what stealing an election isa constitutional crisis. And, when 200,000 white voter votes in Ohio simply vanish it isn't a "puzzle." It's a constitutional crisis. Let's put this wordy article in simple terms that Samuel Adams and John Hancock would easily understand. Someone's trying to steal the country. What do you do when you are invaded by scallywags and scoundrels? You pay attention to what the Supreme Court said on May 13, 1939 in the case of United States v Miller (307 US 174 ) when they found Franklin D. Roosevelt's National Firearms Act of 1934 unconstitutional. In their decision, the Supreme Court made it clear that the purpose of the 2nd Amendment was not to restrict the rights of people to own firearms, but to protect the people from their government.